We named this quilt pattern Arachne’s Quilt after the master weaver who, in Greco-Roman mythology, challenged Athena to a weaving contest. For this hubris, Arachne was changed into a spider: the greatest weaver of all. 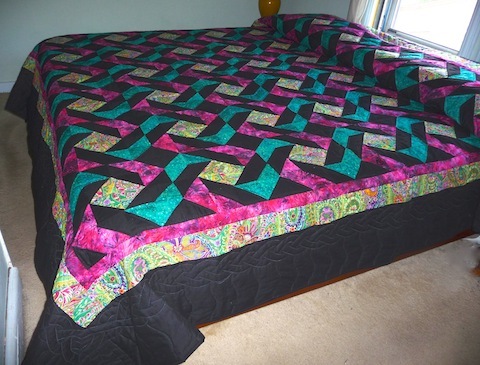 The patterns in our Arachne’s quilt change depending upon how you look at it. Viewed from one angle you might see flowers with four or eight petals. Seen from another angle a basket-like weave pattern predominates. 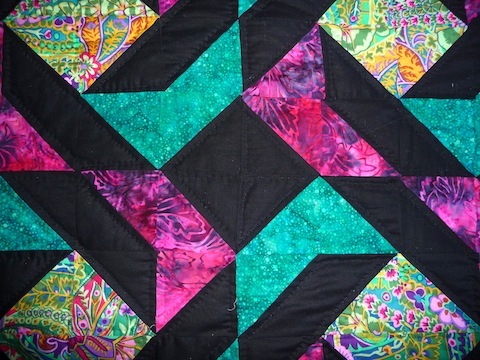 Look more closely and you will see that this entire quilt top is made up of nothing but small triangles! 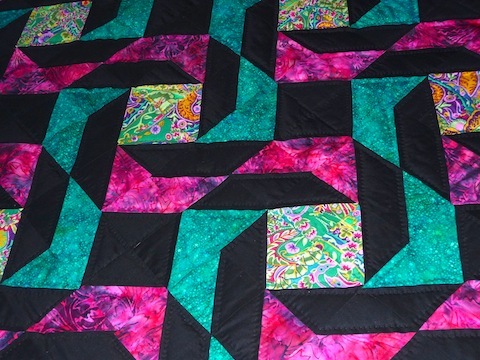 The quilter chose batik fabrics in shades of ruby and green. 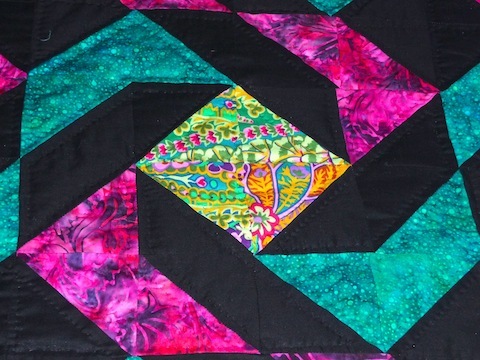 The paisley fabric she chose carries the same reds and greens but also complimentary shades of purple, pink, green and blue. The sharp contrast between the black foundation fabric and lighter prints and colors creates interest, movement and energy. 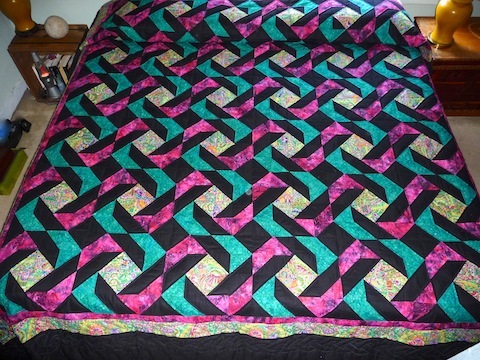 Be sure to take a moment and view the detail photos of this quilt to get a better idea of the fabrics used to make this quilt.